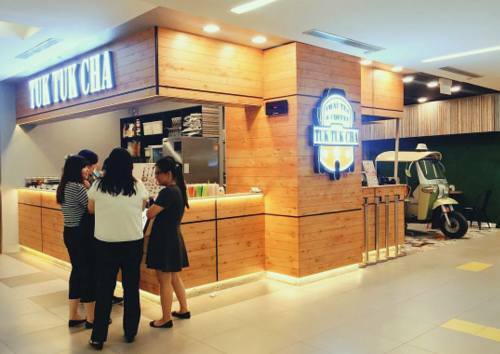 Tuk Tuk Cha cafe and tea house has a network of 12 locations in Singapore, including one within Jurong Point shopping centre (1 Jurong West Central 2). Established in June 2015, Tuk Tuk Cha is a Thai cafe selling freshly brewed Thai tea, coffee, and desserts at budget-friendly prices. Instead of travelling all the way to Thailand to taste your favourite milk tea, Tuk Tuk Cha brings the delicious taste to you, with their Thai tea leaves & coffee beans directly imported from Thailand. Beyond tea and coffee, other popular treats on the menu include Shibuya Toast, Golden Toast with Assorted Dips, Tom Yum Noodles, Thai Beef Noodles, and Green Curry. 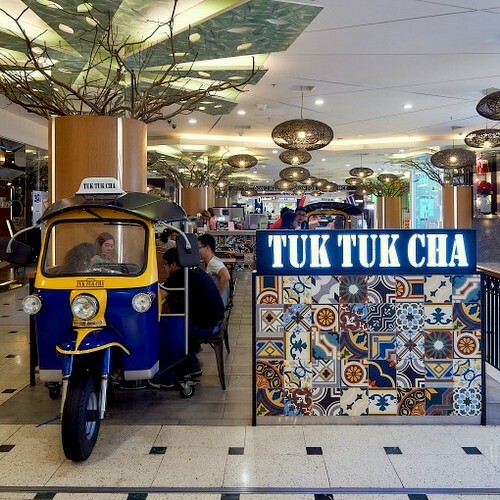 In addition to the cafes, the chain also includes Tuk Tuk Cha Bistro concept store at Bedok Point, which serves a full fledged Thai cuisine menu. Apart from mainstays such as Signature Milk Tea and Thai Boat Noodles, Tuk Tuk Cha Bistro offers authentic Thai dishes like Tom Kha Soup (Thai Chicken Coconut Soup), Salt-Grilled Fish, Tempura Kang Kong, and many more. The official Tuk Tuk Cha Singapore Facebook brand page is located at www.facebook.com/tuktukchasg/. You can also follow the company’s official Instagram account, which in turn is available at www.instagram.com/tuktukcha/.